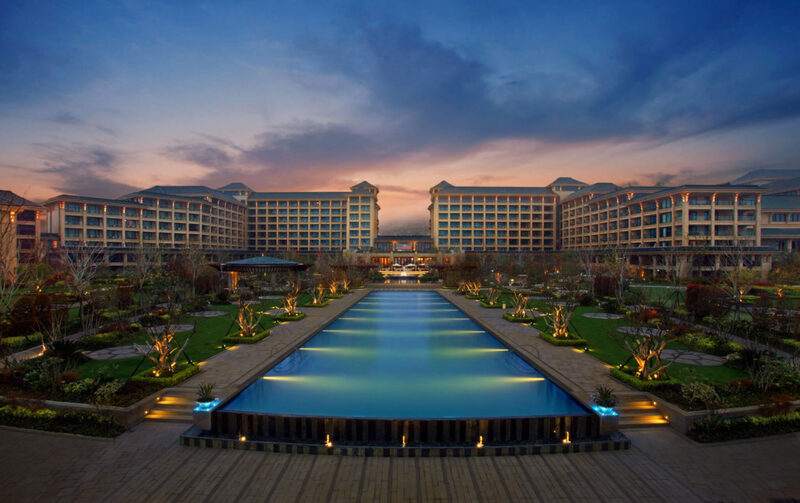 This spectacular beachfront resort features 263 guest rooms and villas, innovative dining options and leisure facilities, as well as amenities and services designed to support well-being. 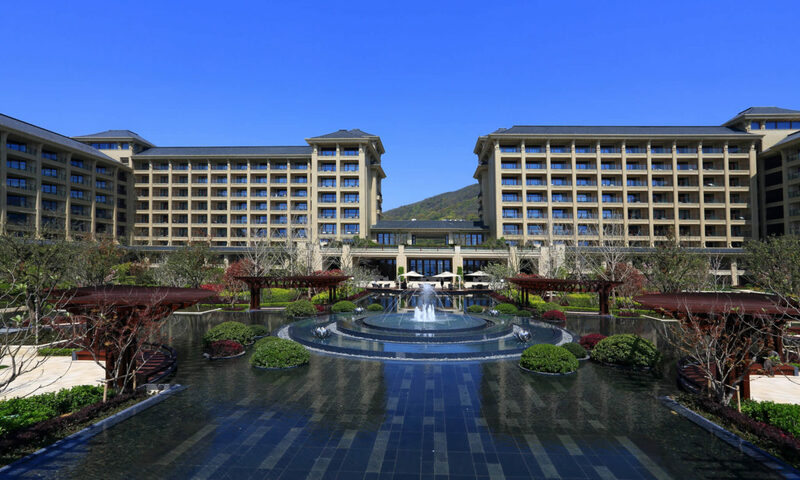 Set between green forests and the East China Sea, The Westin Zhujiajian Resort is just steps away from sandy beaches and unique cultural and natural scenic attractions in Zhujiajian, the fifth largest island among the 1,390 islands in Zhoushan. A thoughtful arrangement of deciduous and evergreen trees was required so that even in the winter when some trees are bare, the overall lush feel is not lessened. In addition, signature features include fountains with “floating” islands of planting resembling large lily pads amidst stainless steel lotus flowers. The amazing resort infinity pools include an outdoor heated pool, and dynamic wave area, with spectacular views of the sea and mountainside, where guests can take in take in the tranquil oasis of the lush landscape from their lounge chair or cabana.